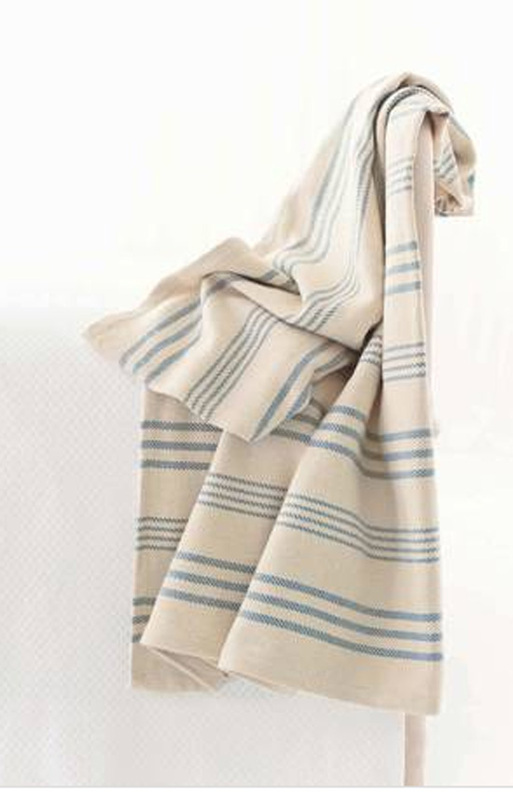 We're sweet on this Swede, in cozy woven cotton in an elegant cornflower blue stripe. Care: Machine wash cold; tumble dry low. Do not bleach. Due to the nature of the cotton woven yarns, this product has been manufactured slightly large to allow for shrinkage when washed. As with any natural fiber, this product may stretch during use. Measures 60 x 78".